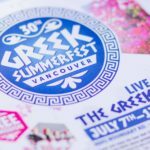 Vancouver Greek Summerfest is back in 2017 for its 31st consecutive year from Thursday, July 6th to Sunday, July 16th, 2017! 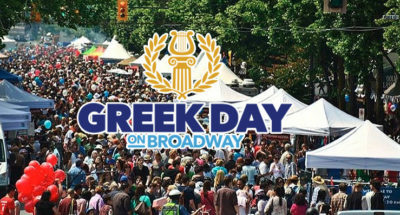 The Vancouver Greek Summer Festival is an annual celebration of food, entertainment, and family fun — from the famous “BBQ Lamb” and “Loukoumades” to the dozens of live singers and dancers on the Performance Stage. http://www.vancouvergreeksummerfest.com Greek Summerfest is FREE to attend, is based in East Vancouver, at the Burnaby border, and is attended by tens of thousands or people of all ages from all areas of the Lower Mainland, as well as visitors from around the world. We welcome you and your loved ones. Make plans to meet your friends, family and neighbours at our festival.